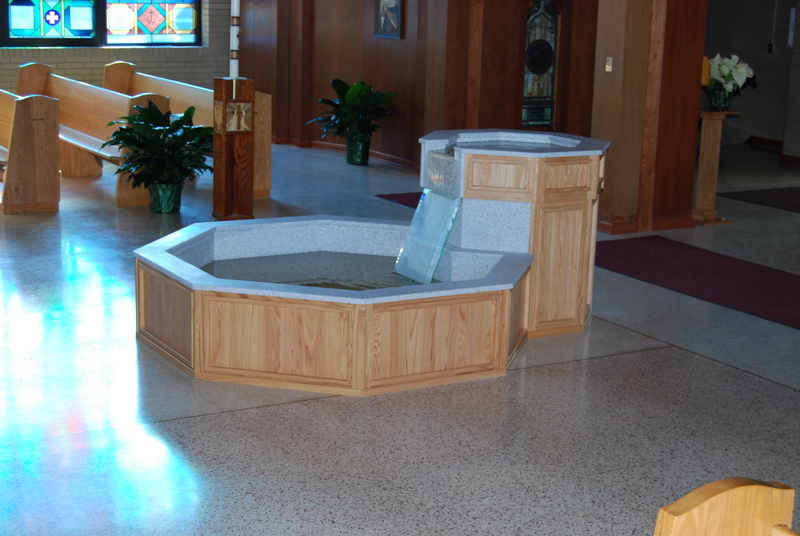 When it comes time to refinish or replace your church's baptismal font, you want the best quality materials installed by skilled profesionals. 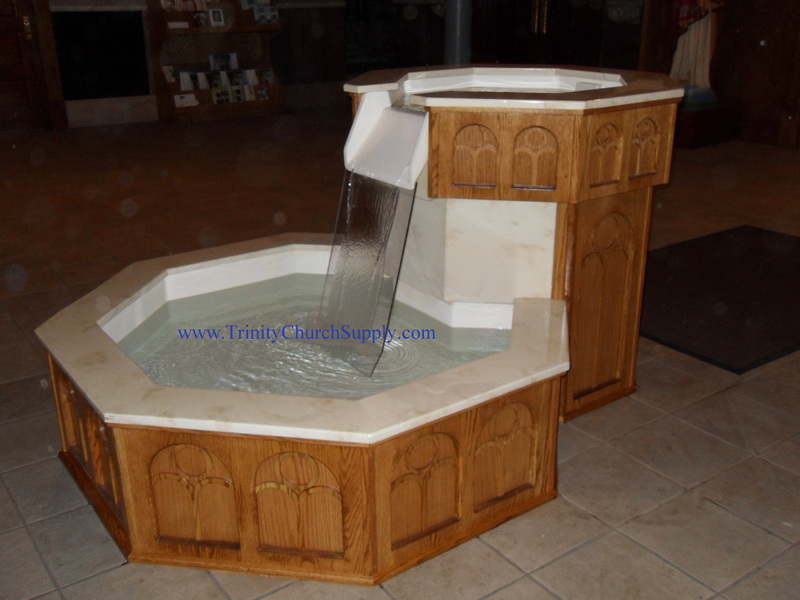 At Trinity Church Supply you will just that. We have long-standing relationships with some of the most skilled artisan and craftsmen available. Our installers are professional craftsmen: qualified and trained with many years of experience. 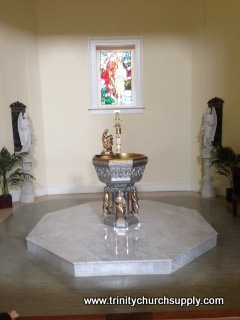 With such a significant symbol in the church, trust our expert team to work with you throughout the project. * Complete refinish services available. * We work with all materials: marble, wood, granite, etc..
* We can provide custom plan or choose from our huge line of standard models. 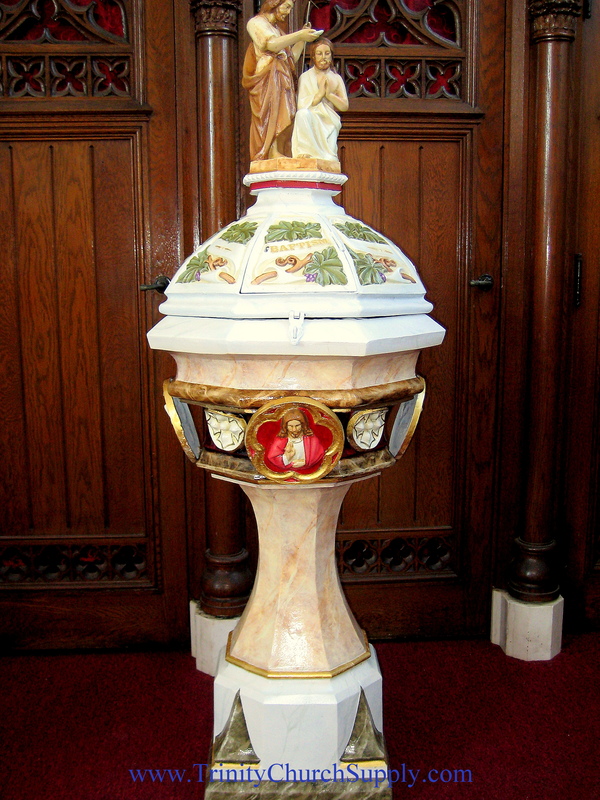 Please browse our sample portforlio of past baptismal fonts.